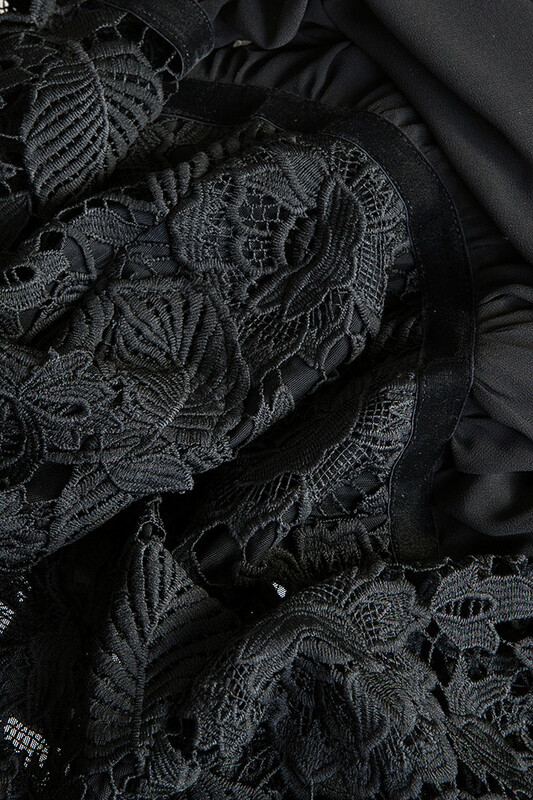 Love Love mini dress is made from a featherweight veil and black lace. The ruffled trims frame the sheer lace sleeves and match the pretty tiered skirt. Slip it on with sandals, adding gold jewelry when going out in the evening.